Here at Bouden Travel we offer an unrivalled coach hire Stoke on Trent service. Call 0800 112 3770 or CLICK HERE for a quote. No matter what size your group may be or what your budget is for your coach hire in Stoke on Trent we guarantee to have something that suits your requirements perfectly. Our coach hire Stoke on Trent service comes in three different classes; standard coach hire, executive coach hire and luxury coach hire. If you’re looking for something a little more VIP we always recommend going for our executive and luxury options. Standard coach hire is great for when you’re on a budget and are looking for the cheapest and simplest options. These vehicles come with simple interior and no toilet on board. 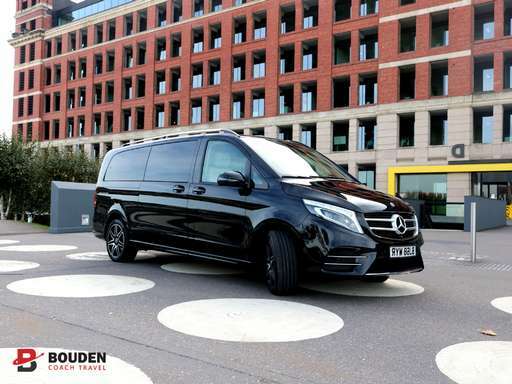 Whereas with our executive and luxury coach hire option they are great for impressing clients as interiors are top of the range with part leather and full leather seating, air conditioning, toilet on board, fridge, tinted windows and entertainment systems. Our professional driver will pick you up from your chosen location and transport you to your destination in style. Call 0800 112 3770 or CLICK HERE for a quote.